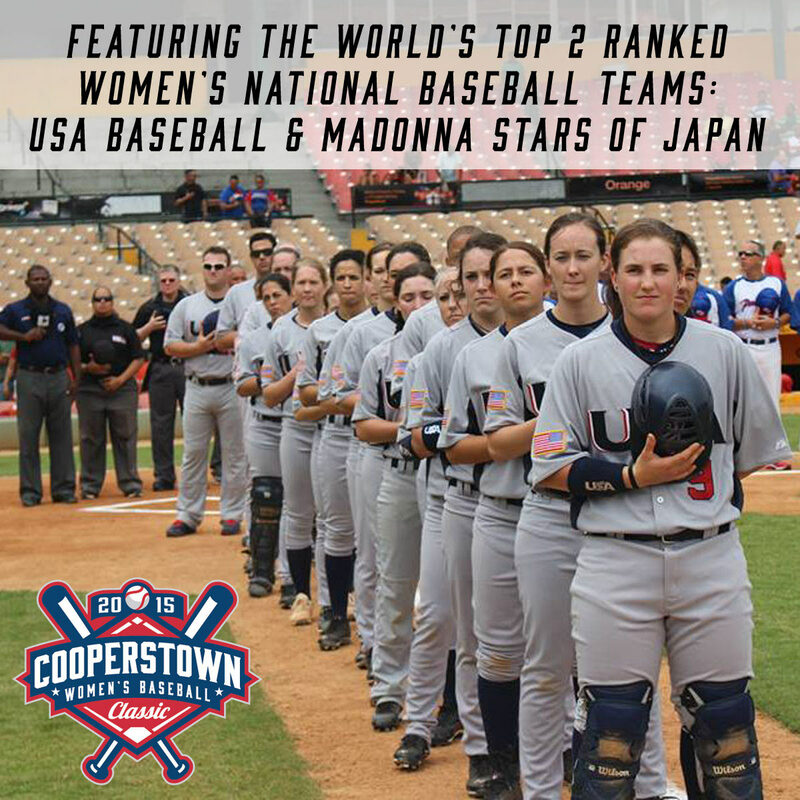 The inaugural 4-game series is scheduled July 10 to 12, 2015 in Coopers Town, New York, and will feature the USA Baseball Women’s National Team, which is ranked No. 2 in the world, against the Madonna Stars, a team of players from Japan’s Women’s National Team, professional players from Japan Women’s Baseball League, and university and club team players. The event is sanctioned by the World Baseball Softball Confederation (WBSC) and is expected to help grow the sport of baseball amongst female athletes. Furthermore, these games will give both teams valuable experience to prepared for the 7th Women’s Baseball World Cup in Gijang County in Busan Metropolitan City in 2016 which has been awarded by WBSC. Both teams will be invited by the New York Yankees to their game against the Oakland Athletics at Yankee Stadium on July 8 and will visit the National Baseball Hall of Fame in Coopers Town. The Japanese team will be lead by Kazuo Hasegawa, President of Women’s Baseball Federation of Japan (WBFJ), Manager Koichi Okura, Coach Minoru Shimizu and WBFJ Secretary General Hiroko Yamada. All the 14 players comprise either members of, or candidate for, the 2014 Women’s World Cup National Team which won the Championship in Miyazaki.